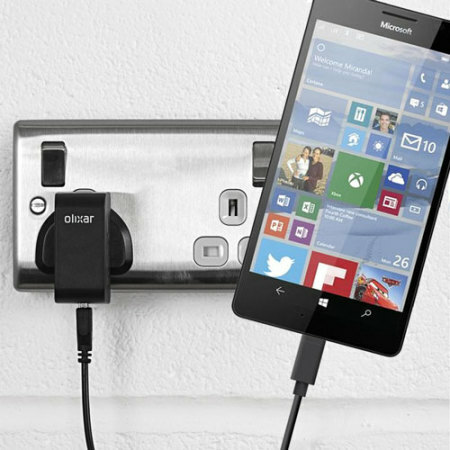 Charge your Microsoft Lumia 950 XL and any other USB device quickly and conveniently with this compatible 2.5A high power USB-C UK charging kit. Featuring a UK wall adapter and USB-C cable. Mains Charger does exactly what it says! Mains Charger does exactly what it says! Charges mobile phone in a very quick time. Stops charging as soon as phone battery is charged.